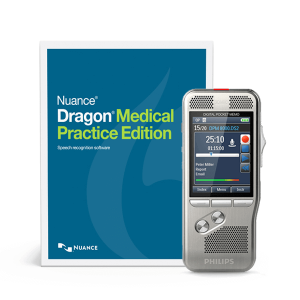 Powered by the latest in speech recognition technology, Nuance Dragon Medical Practice Edition 4 Dragon dictation software achieves 99% accuracy out of the box without voice profile training – significantly outperforming previous versions. 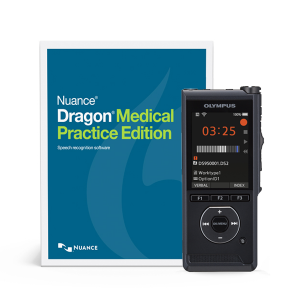 Distinct from non-medical speech recognition, Dragon Medical Practice Edition combines 90 medical specialty and subspecialty vocabularies with acoustic models based on the unique way physicians speak – audio, syntax, style, and structure – resulting in remarkable accuracy. Advanced Deep Learning technology continuously learns and adapts to voice and environmental variations – even during dictation – endlessly refining performance. 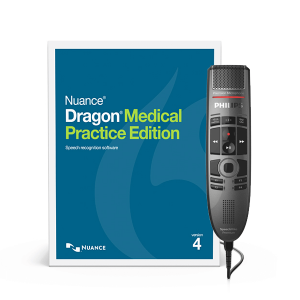 Dragon Medical Practice Edition is a locally-installed, highly affordable, real-time speech recognition solution. 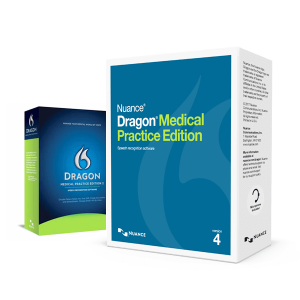 Dragon Medical dictation software allows clinicians to securely capture the patient story more naturally and efficiently to speed productivity, support thorough documentation and ease EHR usability. 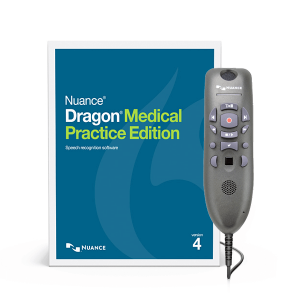 Boost documentation efficiency for more time with patients using Dragon dictation software: Quick and accurate performance allows clinicians to create text up to 5x faster than typing, improving EHR usability. 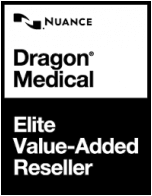 Use voice to navigate, dictate and edit content inside EHR fields for increased productivity.